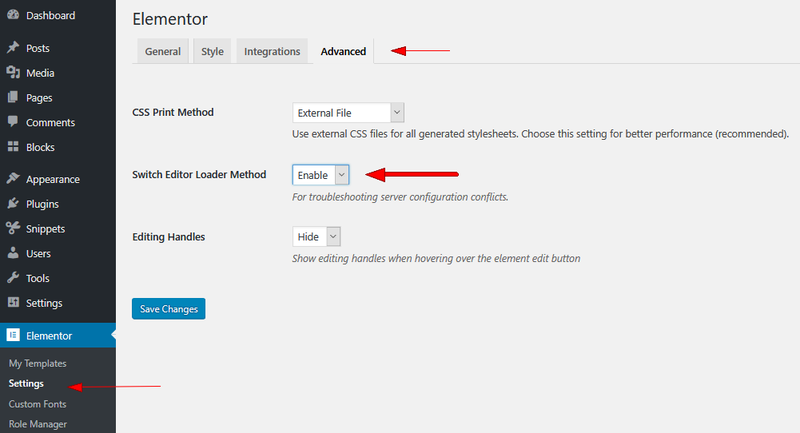 The Integrations settings allow you to optionally connect Elementor with 3rd-party APIs as needed. * Switch Editor Loader Method is useful in solving the "err_content_decoding_failed" and err_empty_response" issues that sometimes occur. Enabling this option helps users running sites on servers with low resources which have difficulty reading long JSON code. When enabled, the tool splits the lines so that these servers can read the JSON code without issues. Switching to this method won't negatively affect performance. Instead, it will likely improve performance. This tool can also be useful sometimes in solving the white screen of death.